When Jesus was leaving the world, on the night before He was crucified, He told his disciples, "I will not leave you orphans; I will come to you" (John 14:18). What is an orphan? An orphan is one who has no father and mother. There is a lot of difference between a child, who has grown up in a home experiencing the love of a father and a mother, and a child who has had no father and mother. That means the father and mother died when the child was small so that child had to be brought up by stepmother or stepfather, or uncle or aunt, or grandparents or, sometimes, in an orphanage. Orphans tend to be insecure because they have not experienced love in their childhood, the love that only a father and mother can give, no uncle or auntie, or grandmother or an orphanage can ever give. And when there is this type of insecurity due to the lack of love, orphans tend to be very defensive. They tend to feel that the world is against them, that people are against them, and that they must defend themselves. They become introverted, depressed, discouraged, and jealous of others who have more than them. They become very possessive in friendships because of insecurity. They want somebody to love only them and nobody else. We should not judge orphans who are like this. They can remain the same even when they are 40 or 50 years old, because, way back in childhood, they never experienced the love of a father or mother. Those of us, who have parents, sometimes don't appreciate the value of having them. That is unfortunate! Some children, probably don't appreciate the value of their parents sufficiently. They need to thank God for there father and mother, because there are many children in the world who do not have a father and mother. I want to apply this spiritually. What did Jesus mean when he said, 'I will not leave you orphans?' Spiritually speaking, we can say that the world is full of orphans, because they don't have a Father; they don't have God as a Father. They don't know God as a Father. So, all the characteristics that you find in ordinary physical orphans, you find in these spiritual orphans. The world is full of people who are insecure; who feel that others are against them. So they fight, they defend themselves, they are very possessive. It is like that because they are spiritually orphans. They love money because they are insecure. They have no heavenly Father. They are anxious. They are worried. Jesus sought so much, during His earthly ministry, to impress upon His disciples the fact that God was a loving Father. He taught them to pray, "Our Father." No person in the Old Testament could ever pray like that. 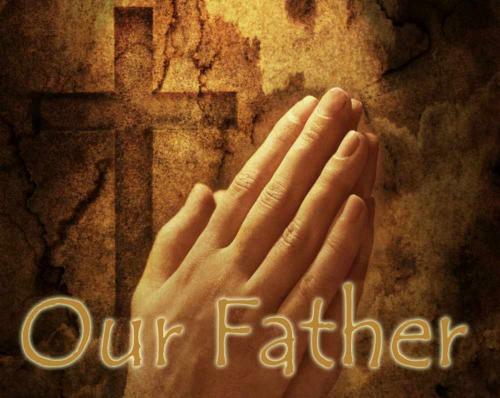 He said, 'When you pray, say, "Our Father,"' and after His resurrection, He said, 'My Father is your Father.' There is a beautiful verse in John 1:18 "No man hath seen God at any time: the only begotten Son who is in the bosom of the Father, he hath declared him." In other words, Jesus, by His life and His teaching, has explained to us what God is like. You know, the world is full of people who have never seen God. None of us have seen God. That is what it says in that verse. When we have not seen God, it is like a man who has never seen an elephant. Supposing you were to go to some country, where there is some child who has, maybe, seen pictures of lions and tigers, but has never seen an elephant or a picture of one. If you ask that child to draw a picture of an elephant, what do you think that elephant would look like? Do you think any child in the world will ever think of drawing a long nose, which we call a trunk? No, because there is no other animal that has it. They will draw something that looks like a lion or a dog, or like most animals with four legs, but nobody will be able to draw an elephant, if he has not seen an elephant or a picture of one. How can you imagine one? Most people's idea of God is that of a very strict person, like a policeman, who is out to catch you for some small mistake you do. Like a policeman who waits around a blind corner to see if you have made some traffic violation or broken some traffic law. They think God is like that; just waiting and hiding on the corner, to pounce on you as soon you make some mistake. So, most people live in the wrong type of fear of God. They are afraid that God will punish them or harm them. In every religion, there are preachers and teachers, and priests who capitalize on this fear that people have. They say that you have to please this god in some way or the other, otherwise he will punish you. In almost every religion, including the Christian religion, priests and preachers say that the way to please God is by giving Him money. Jesus said look at the birds of the air, who feeds them? They don't have a barn, they don't have a storehouse, and yet how many dead birds, due to hunger, do you see on the road? You hardly can find one dead bird on the road. It is very rarely that you find a dead bird on the road. How is that? How is it they don't all starve to death? Are there lots of people throwing seeds for the birds every day? No, they find it; somehow our Heavenly Father feeds them. They are not worried. And Jesus said, 'better are you than many sparrows.'. You know, when we are anxious and worried it makes us irritable. It makes us tense; it makes us hit back at people who we suspect are hitting at us. The person who is secure in God is never disturbed by whatever people say. Supposing you are walking down the road, and a dog keeps on barking from inside a locked gate, or even barking from the other side of the road, what are you going to do? Are you going to argue with that dog? Are you going fight with that dog asking, 'Why do you bark at me?' It is as foolish when you go and start arguing with somebody who is accusing you, calling you names, or telling false stories about you. So the most important thing for us is to know God as a Father. He is not a policeman. He loves you. He cares for you. He knows every detail of your life. If you have put your trust in Jesus Christ, and have been sacramentally baptized, God has become your Father. Ask God to give you that assurance that He is your Father who cares for you. It will make all the difference in your life.